Back in December of last year, Agilebits updated its iOS version of 1Password taking user feedback to heart. With a completely redesigned user interface and support for iCloud sync, there was really only one thing missing, and that was 1Password 4 for Mac. Today Agilebits released a sneak peek of what users can expect from the highly anticipated release of 1Password 4 for Mac this fall. Taking a cue from their iOS release, 1Password 4 for Mac will have Favorites, Multi-Site Logins, and of course iCloud sync. The iCloud Sync feature in particular is one that I have been waiting for since the new iOS version came out. Don’t worry, Dropbox sync will still be supported. Custom fields can also be added to most items so you can make them your own. There will also be support for more item types. The included extension for browsers on the Mac has been completely redesigned and will be identical for each browser, as it is now native Cocoa. An interesting new feature will be the ability to share encrypted items via iMessage or eMail. Depending on how this works out, and who can share items with whom, this may be a way to send encrypted notes back and forth. 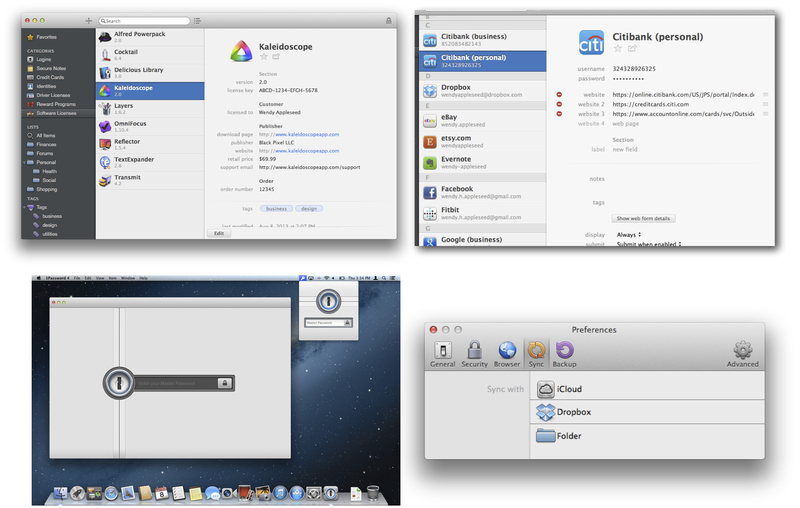 Like the iOS update, 1Password 4 for Mac will be a complete redesign. And according to Agilebits to 1Password 4 for Mac will be a free upgrade to all Mac App Store customers; yes, all of them. Website customers who purchased 1Password for Mac prior to January 1, 2013 will have to pay an upgrade price that has yet to be determined. The new version is expected to be released this fall. I just hope their Chrome on Mac plugin works better than it has lately. (Though someone suggested it’s driven by Chrome’s oddities…) In any case, I’m a 1P fan and am looking forward to the new version. I know other folks swear by other tools, and that’s great… for me it’s about encouraging people to use unique and higher-security passwords. The easier it is to do this, the better off we all will be. I’ve been using 1Password on all of our devices for years and it has been awesome. I’ve contacted support a couple of times (concern when LastPass was hacked) and they responded almost immediately with the differences to ally our fears. I’ll be interested to see how Apple’s new Keychain password encryption works, but will likely stick with 1Password. 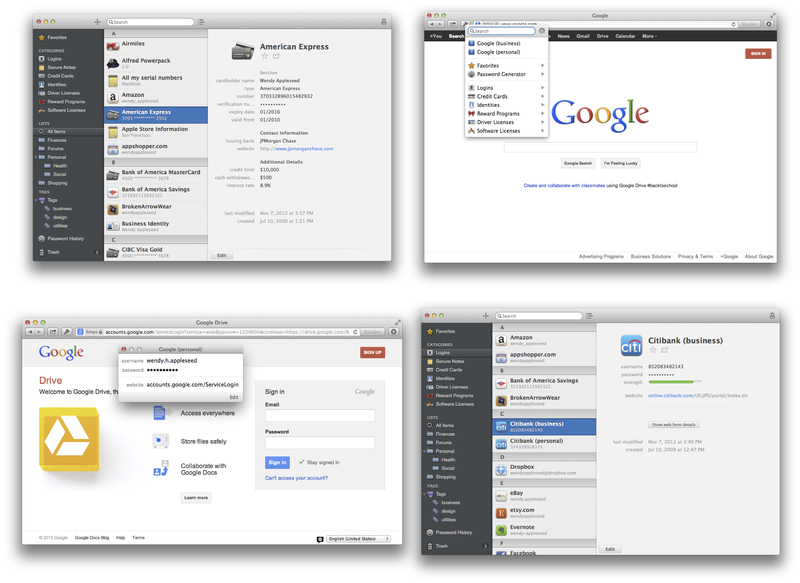 I hope that 1Password 4 will include the ability to assign the browser, which will open a 1Password item. This has become essential as Safari now has mad open-in-new-tab the default behaviour when clicking a link on a web page. While this is a good change for most web browsing, it create havoc when clicking a link on a secure web page: most secure pages automatically log you out when the new tab opens. I know, I can hold down the command key to open a Link on the same page, but out of habit, I sometimes forget, and loose the secure site. Neither do I want to switch to Firefox for all my browsing. I like LastPass – much better program.